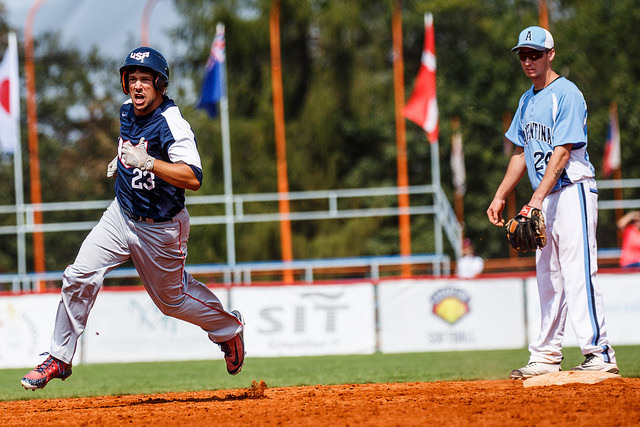 In the first game of the second day, USA walks it off against Argentina with a 2 RBI homerun and the Czech Republic wins the European battle. During the first game of the second day, Argentina started to show their offensive power from the very first inning. Third batter, Bruno Motroni had a fast-line drive, out of the park home-run which made the score 0:1. However, in the second inning, the Americans came back and Nicolas Mullins’ RBI double made the score 1:1. The third inning started off with another homerun for Argentina by Juan Zara. In addition, some errors in the USA offence brought the score to 4:1. To make up for the errors, Tyler Dudley sent a ball far over the fence in the bottom third to bring the score to 4:3. From then on, it seemed to stay pretty quiet. After both sides substituted their pitchers, no one succeeded in scoring runs until the bottom the 7th inning. With the second base loaded for USA, left-fielder Jonathan Lynch hit it out of the park and walked it off! USA won 5:4. The second game of the day was played between Europe’s two favorites: Denmark and the Czech Republic. Both teams decided to put their best pitchers on the plate; Michal Holobradek for Czech and Kim Hansen for Denmark. Up until the fifth inning, the score was 0:0. Both teams had a hard time with producing hits. However, in the top of the fifth inning it looked like Nicolai Elsner was going to hit it over the fence but unfortunately for him, right fielder Patrik Kolkus made a great catch at the fence and robbed him of homerun. This however seemed to be a great motivation for the Danish. With Valdemar Terkelsen on the first base, Martin Simonsen hit it out of the park and brought the score to 2:0 with his 2 RBI homerun. In the top 7th, things took another turn. With first and second loaded, Vaclav Svoboda hit a 3 RBI homerun which stole the lead from the Danes. The Czech Republic won 3:2. With a run in the first inning, Argentina had an energic start against the World Champion, New Zealand. However, Ben Enoka´s two-run homerun brought New Zealand to lead 1:2. Because of a bunt, a double and a throwing error, they expanded it to 1:3. The Argentinians on their turn fought back. 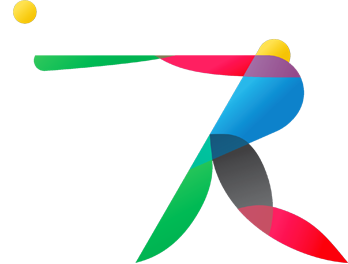 Bruno Motroni´s 2 RBI double, ano overthrow by pitcher Campbell Gibson and a good hit by Juan Malarczuk led Argentina to lead again 5:3. Until the last inning, the New-Zealand men didn´t succeed in scoring another run. Argentina won 5:3. For the Czechs the second game of today couldn´t start any better. A three run homerun by Patrik Kopečný and a two run homerun by Patrik Kolkus brought them to a 5:0 lead in the very first inning. A good hit by Tsukasa Oishi and an error on the Czech side, allowed the Japanese to score two runs, which made an interesting 5:2 in the first inning. After a number of hits and runs on the Japanese side, Kanta Nishida´s hit into the right field brought the game to a tie; 5:5. With an inside-the-park homerun by Kaito Masaki (5th inning) and an outside the park homerun by Yusuke Morita (5th inning) and Hiroto Ikeda (6th inning), Japan came back and took the lead with 5:8. The Czechs were not able to score any runs in the seventh inning. Japan wins the game with 5:8.